The Independent Crusaders Mapping Project takes advantage of emerging digital tools to shed light on individuals who assumed the identity of crusader and traveled to the Latin Kingdom of Jerusalem outside of the major, canonical crusades. Biographical crusader profiles contextualize the expeditions of these independent crusaders and their companions, and interactive transcriptions of latin charters demonstrate the ways in which they declared their desire to travel to the Holy Land. The dynamic map visualizes the project's data by charting the departures of the crusaders over time. Interpretive essays offer avenues to understand the project and utilize it in the classroom. Because the majority of these crusaders lived in Francophone continental Europe, users are encouraged to explore the French of Outremer Project, another digital resource from Fordham's Center for Medieval Studies, for a look into how medieval Western communities imagined la terre d’outremer in their literary texts. 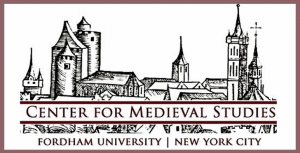 ICMP is a project of Fordham’s Center for Medieval Studies.